What is Avenues Vocational & Employment Services Hazleton? 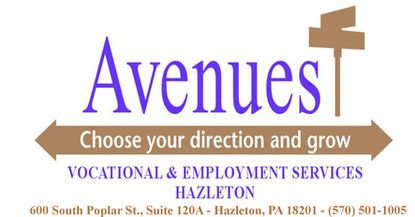 Avenues Vocational & Employment Services Hazleton is the newest addition to the Avenues family. We are a vocational training program serving individuals with developmental and/or acquired disabilities. The structure of our program is based off of Habilitation, Inc., a division of Avenues that has been providing vocational rehabilitation services since 1962. As a new addition to the organization, we are currently focused on facility based job opportunities. On a daily basis, program employees receive individualized training designed to improve vocational skills by performing vital job tasks procured from businesses within the community. As our program grows, we will continue to pursue different avenues to meet the needs of individuals within the community.